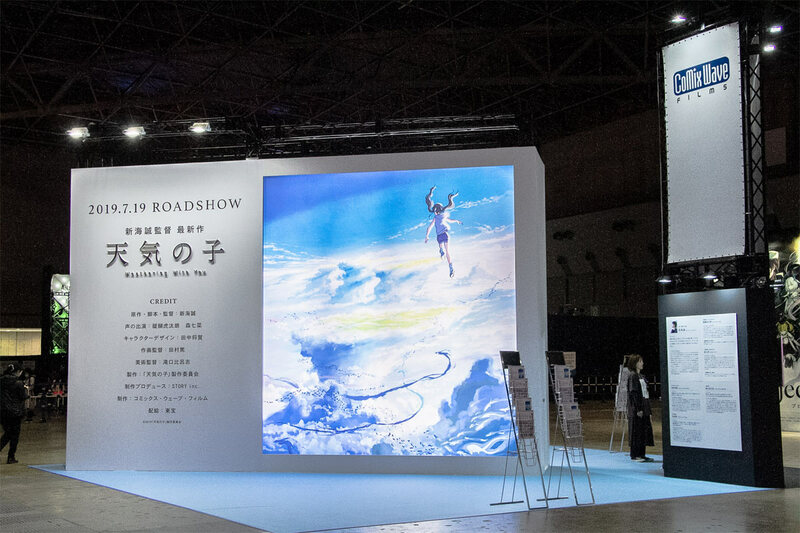 We picked up some exhibitions that caught our attention from the diversity of Anime exhibitions by more than 160 leading business players from the Japanese animation industry (in alphabetical order). 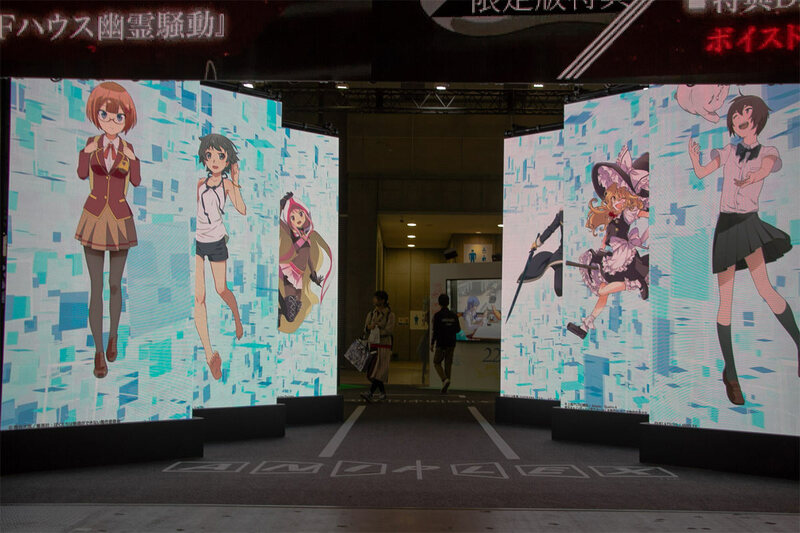 We hope that these photo reports could help you feel the atmosphere of the huge and busy festival and the trends of the current Japanese animation industry and market. 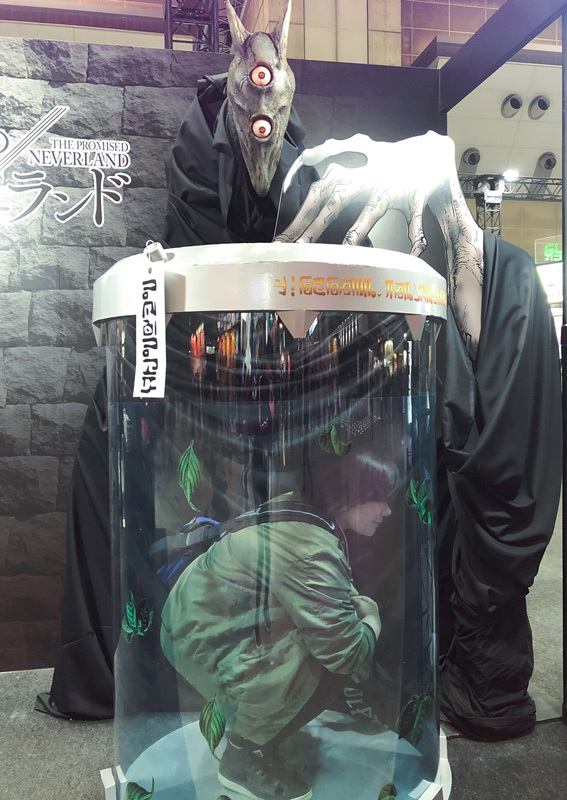 Having one of the largest exhibition spaces, the Aniplex booth was filled with content ranging from TV series to movies, an interactive installation for Cells at Work!, one of the biggest hits in Japan last year, which scans and evaluates what kind of cell you are, and a photo spot for The Promised Neverland, and a life-sized figure of Alphonse Elric from Fullmetal Alchemist. 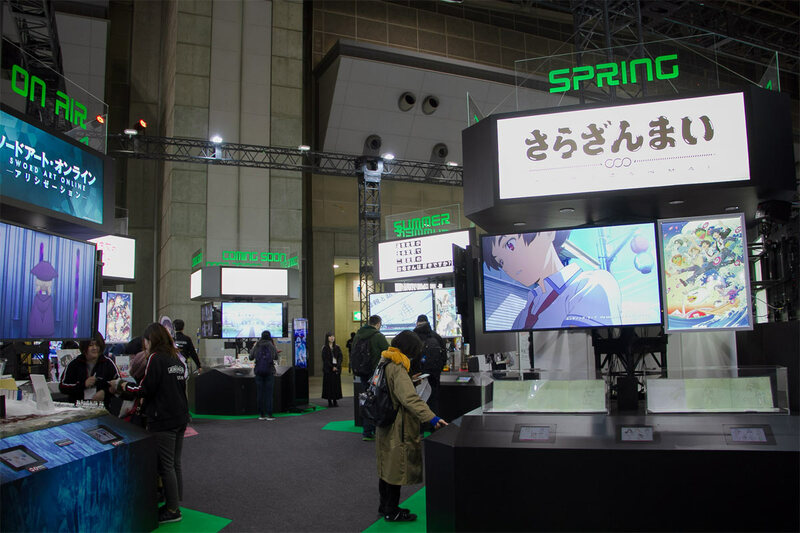 Inside the booth were stations where Aniplex’s animations were showcased in categories such as “ON AIR,” “SPRING,” “SUMMER,” and “MOVIES,”, where visitors could find the latest information on each title, autographs of directors and casts, props related to the title, and original scripts. 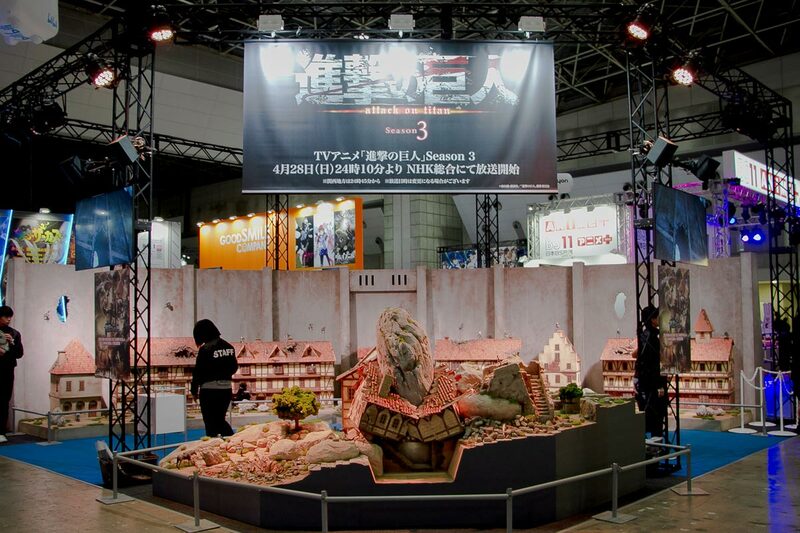 They also had their own event stage adjacent to the exhibition space, and held 11 talk events in addition to the 9 stages held on the official AJ “Rock” Stage. 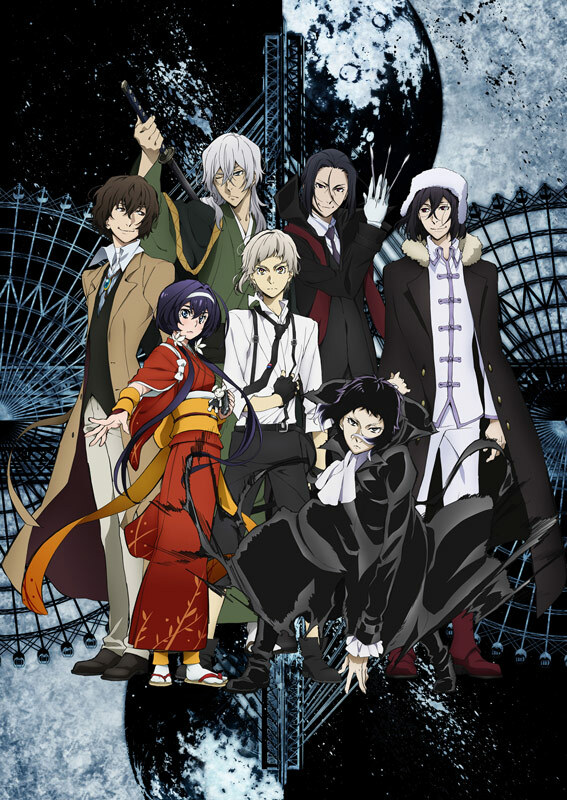 Stations introducing titles in categories. 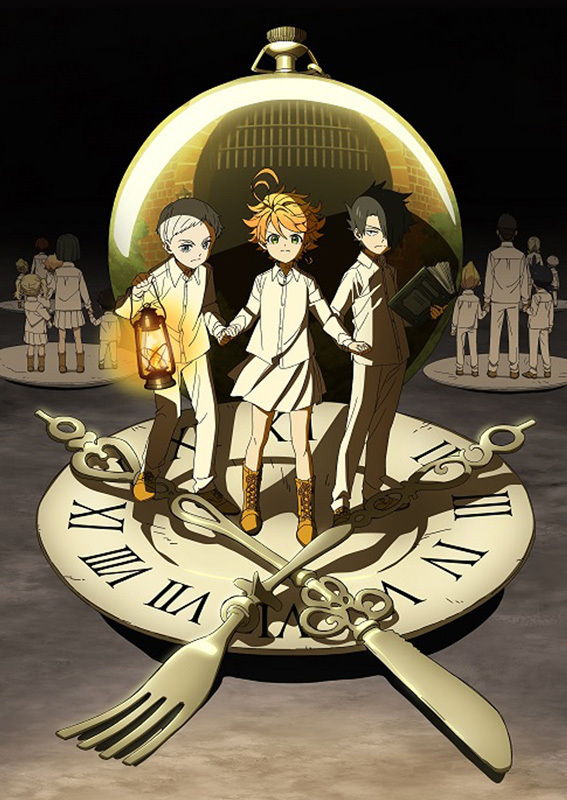 Photo spot for “The Promised Neverland”. 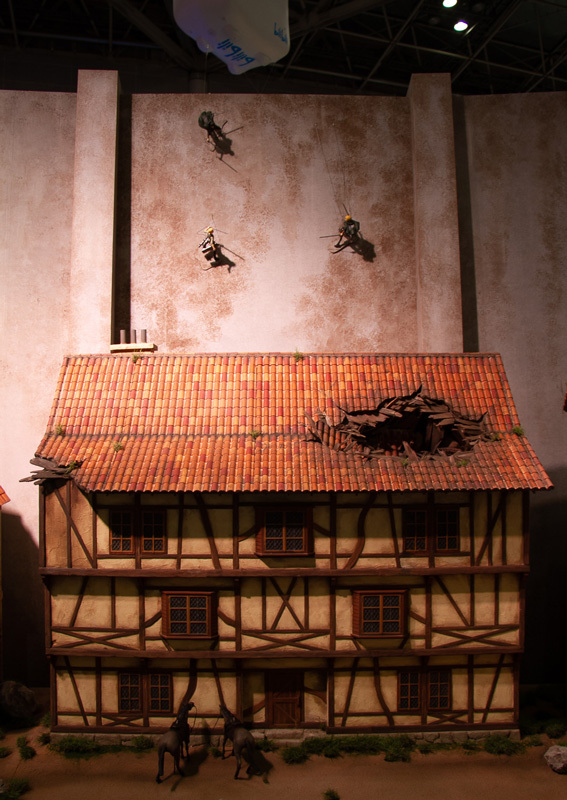 Dedicated solely to Attack on Titan, the popular 24-minute TV animation series with its fourth season starting in April 2019, the space recreated the town within the curtain walls in miniature scale, so the visitors themselves would become the invading “Titans.” Figures of the characters from the Survey Corps could be recognized jumping on the rooftops and climbing walls using the Vertical Maneuvering Equipment. 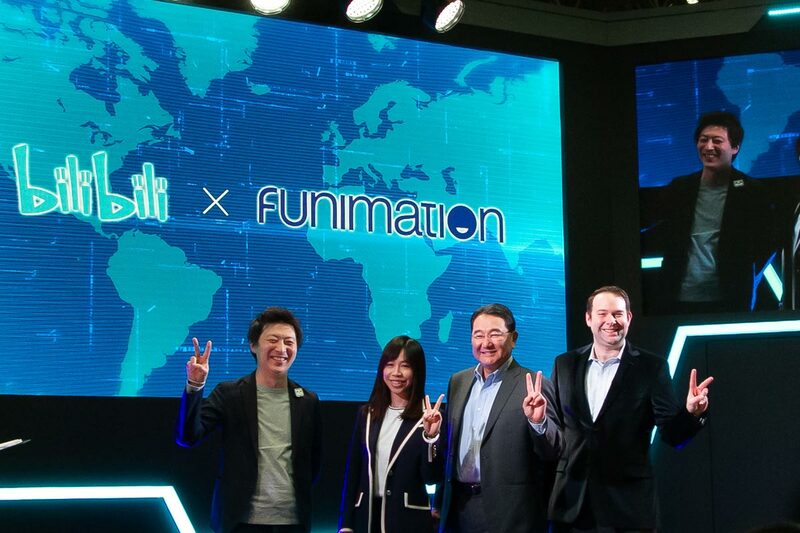 As one of the few of international companies that exhibited, the Chinese streaming company Bilibili announced its new partnership with Funimation on-stage. 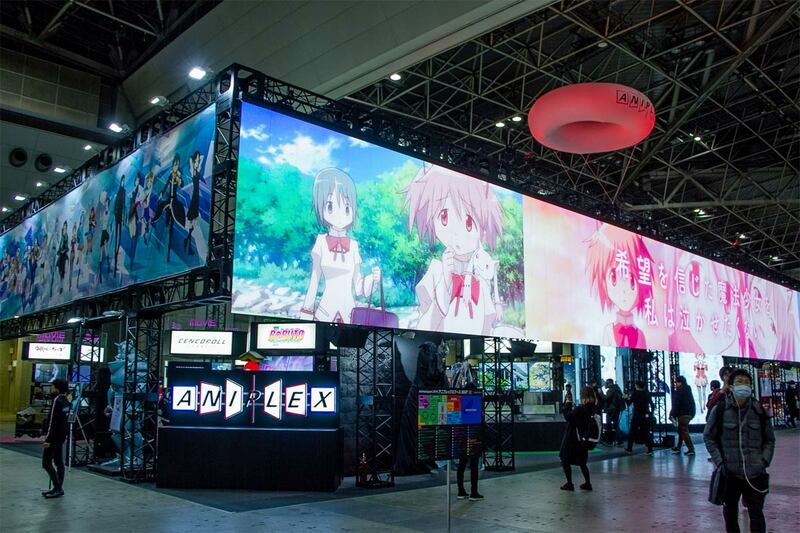 Since AnimeJapan is targeted mainly towards the general public, it was a rare occasion to witness a business partnership announced. 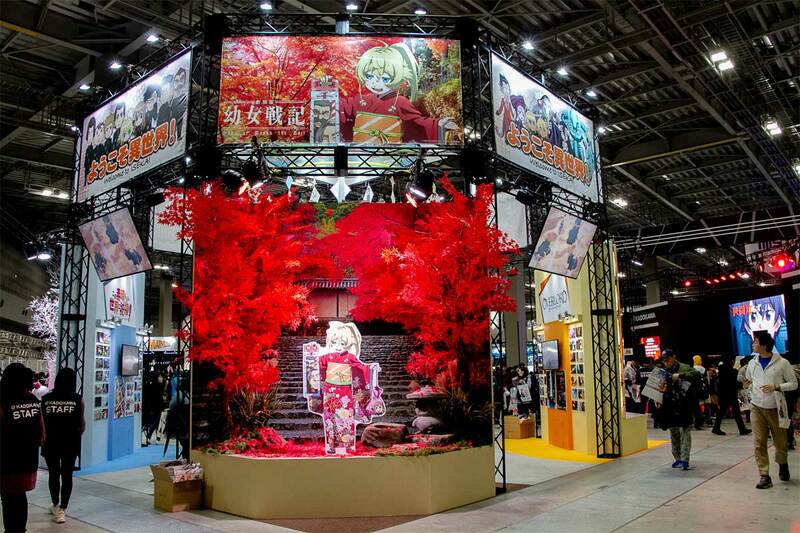 Right after entering the public gate, visitors were greeted by the big Kadokawa booth consisting of two sections: the Isekai booth and special event stage. 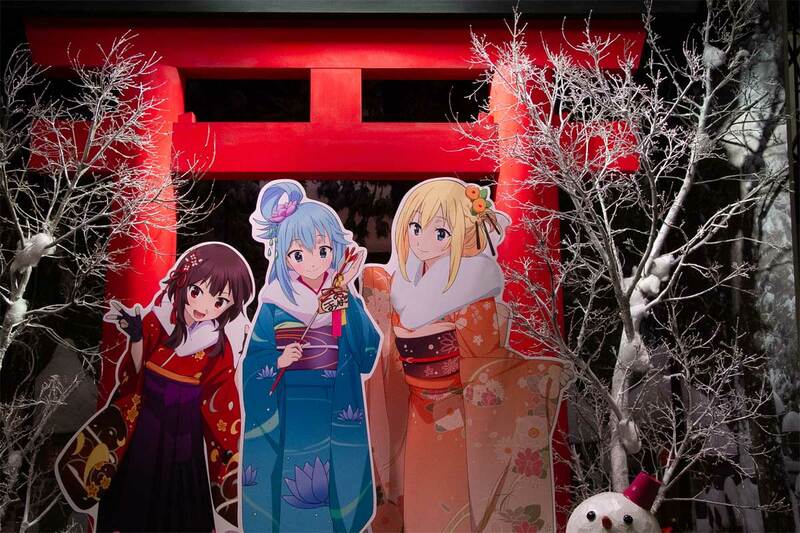 The Isekai booth showcased 4 animations: Overlord, KonoSuba: God’s Blessing on this Wonderful World!, Re:Zero − Starting Life in Another World and Saga of Tanya the Evil, all based in different parallel universes, and which will come together in the new anime series Isekai Quartet, a crossover between these 4 titles featuring featuring petit-chara (small, deformed characters, also known as “chibis”) starting this April. 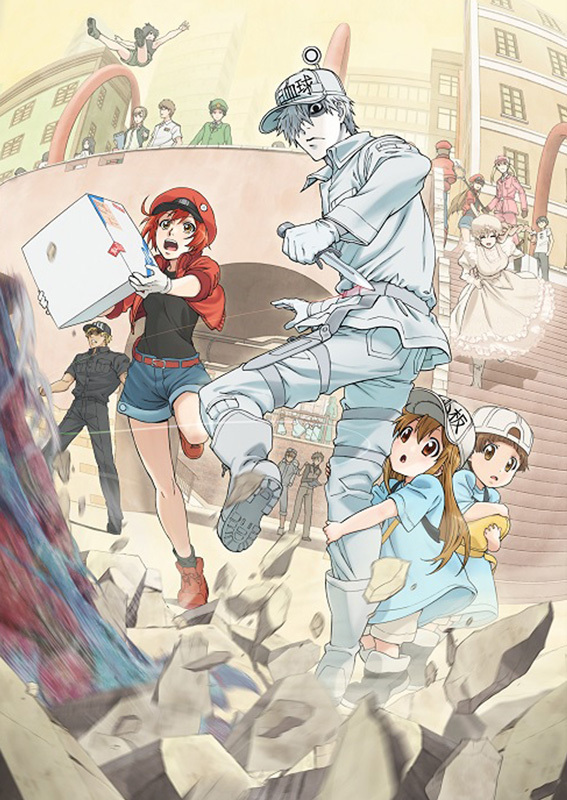 The special stage held 10 events in 2 days, consisting of live performances of opening theme songs, radio programs by voice actors, and the announcement of new projects. 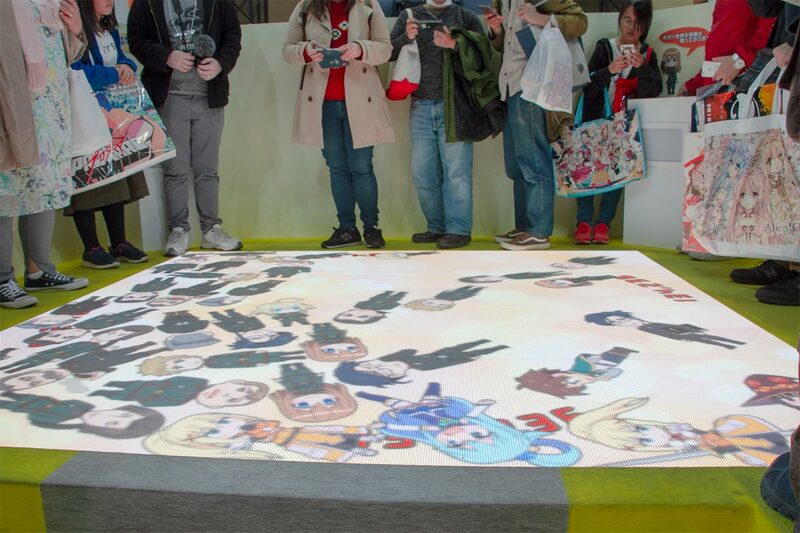 Original paper bags were handed out to visitors with the key visuals of Re:Zero, KonoSuba, Bungo Stray Dogs and The Rising of the Shield Hero. 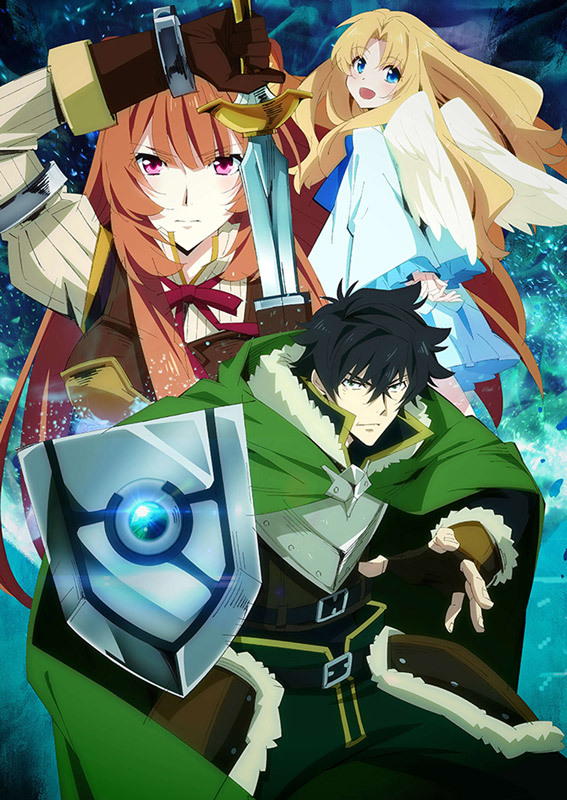 Isekai booth featured each of the four titles relating it to four seasons. 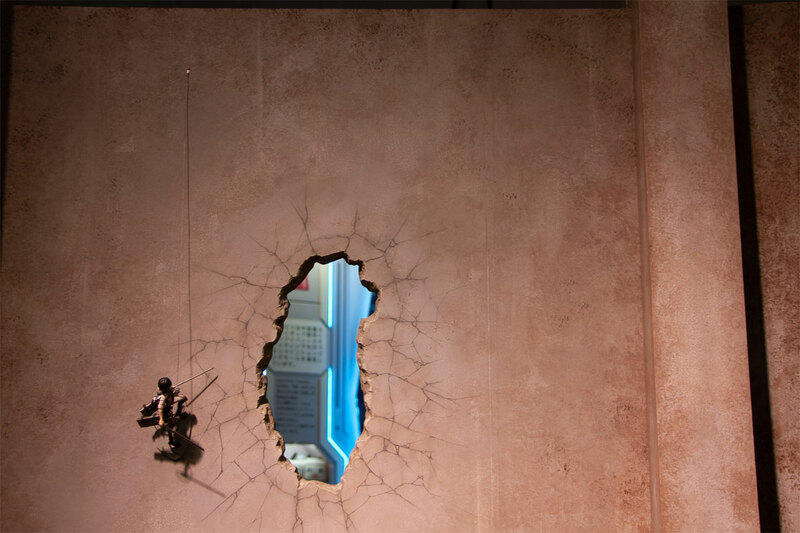 Inside the booth visitors could press a button to have characters joining into the screen on the floor.